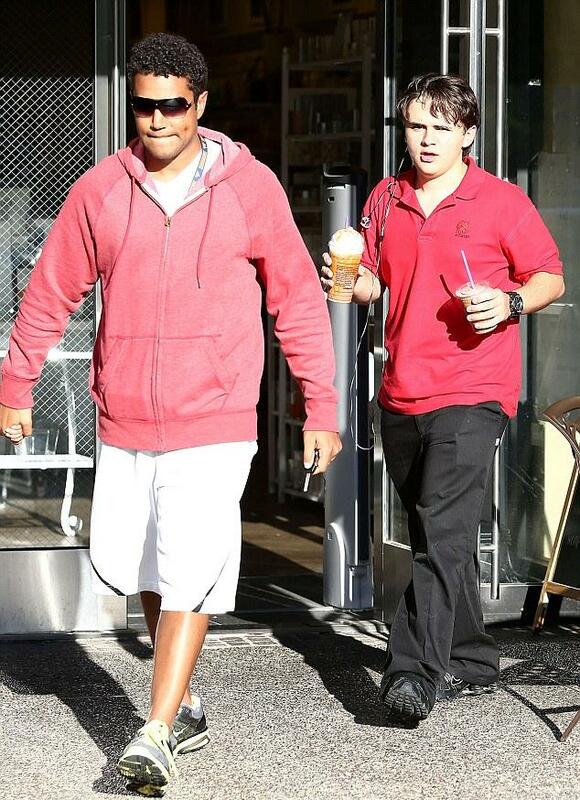 TJ Jackson and his cousin Prince Jackson in Calabasas. . HD Wallpaper and background images in the blanket jackson club tagged: prince jackson ♥. This blanket jackson photo might contain puerta giratoria, revólver, revolver, hip boot, thigh boot, cena, and comedor.